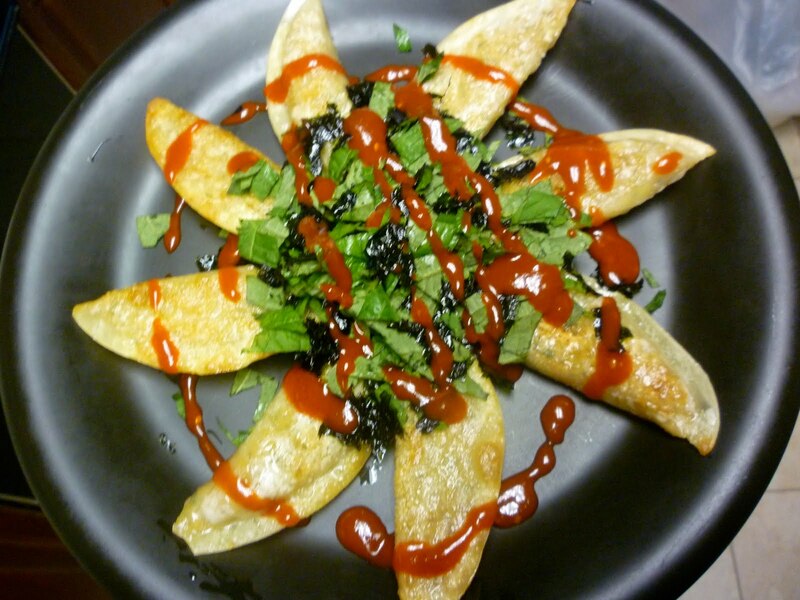 >Bibim mandu (비빔 만두). | curated sf: Eat. Shop. Play. >Bibim refers to something that is mixed and mandu is the Korean style dumpling. This is one of my favorite modern Korean dishes, that’s a bit harder to find in the States. 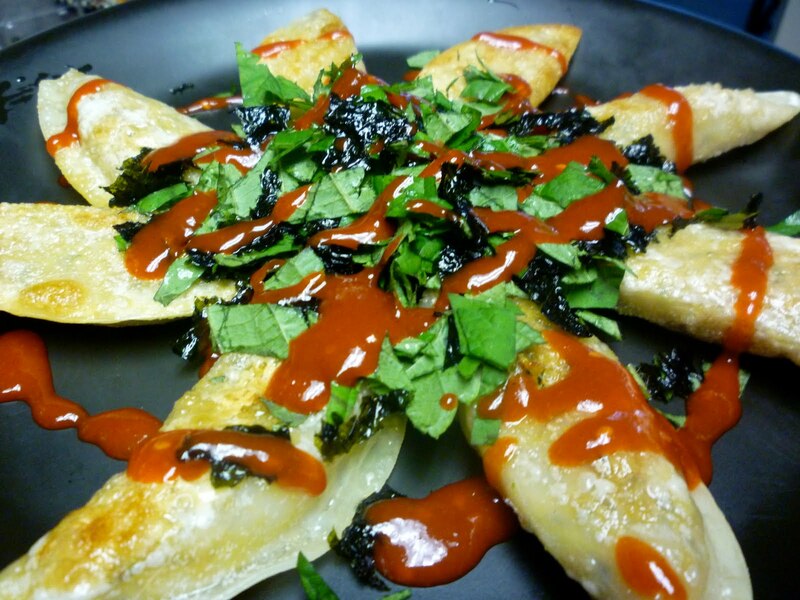 Essentially it’s fried mandu that’s eaten with a slaw and Korean chojang (초장) hot sauce. Chojang is also a fairly new sauce that is the traditional Korean red-pepper hot sauce go-chu jang (고추장), with vinegar (식초). The consistency is lighter and I think it just has a great flavor! 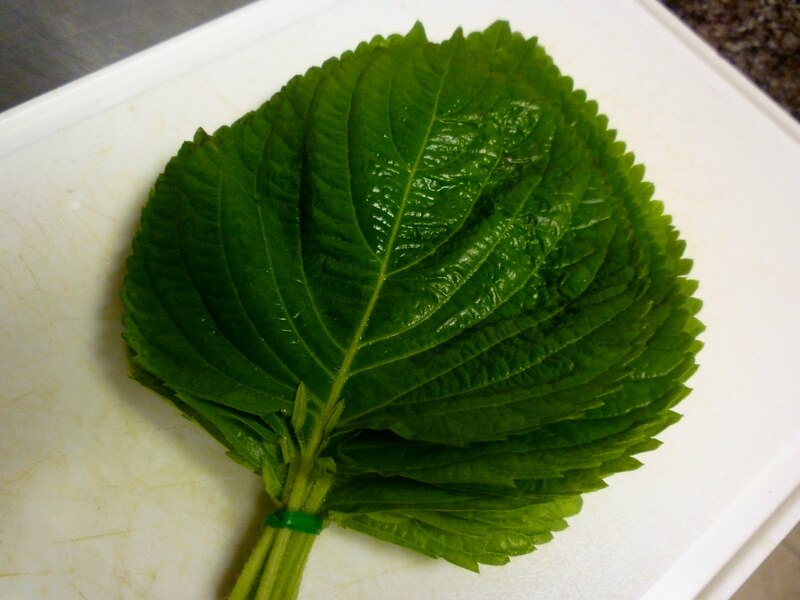 Sesame leaf (깬잎). Such an interesting flavor. It’s wonderful picked, Korean style, and also a very important ingredient in many Korean dishes. To make the salad I chopped this up along with seaweed (김) and romaine lettuce. 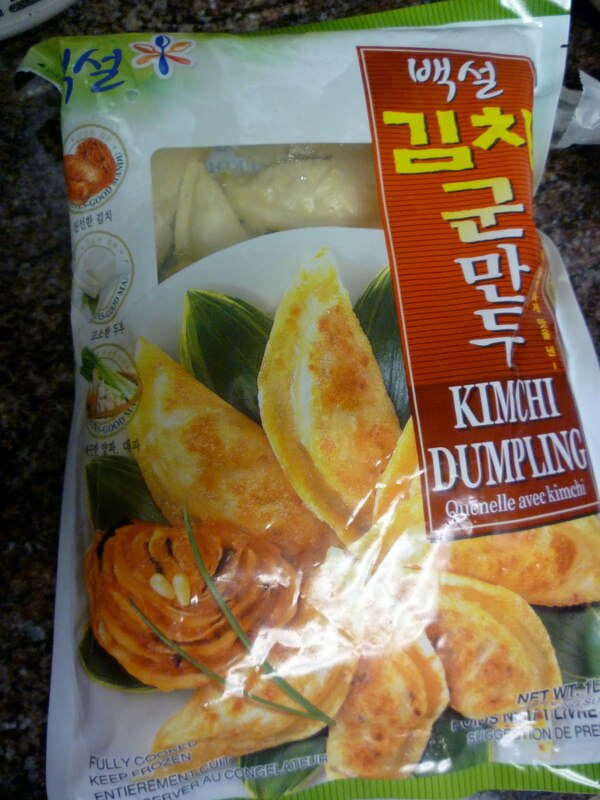 I’m going to make mandu (Korean dumplings) soon, but didn’t have time to today, so tried these. Fried in a bit of oil. I forgot the plate the romaine lettuce as part of the slaw! I did end up topping this with the chopped up romaine, which really helps add a nice crispness to this. The salad varies from place to place though. Mmmm! SO GOOD! I had this with rice, of course. The actual mandu that I purchased wasn’t that great–it said it was kimchi mandu, which is usually very flavorful, but this was pretty bland. Good thing I had it with the nice slaw and sauce! >Yes, I like this too. Here's an alternative version from Kyeongsannamdo.1. Mix finely chopped green onions with shredded coleslaw cabbage and chopped mixed greens (prewashed bagged Spring salad works great). 2. Fry thin flat fish cakes (odeng), cut into strips, and mix into salad.3. Dress salad with plenty of bibim sauce (red pepper paste, white sugar, vinegar, thinned a little with water or cooking wine if needed).4. 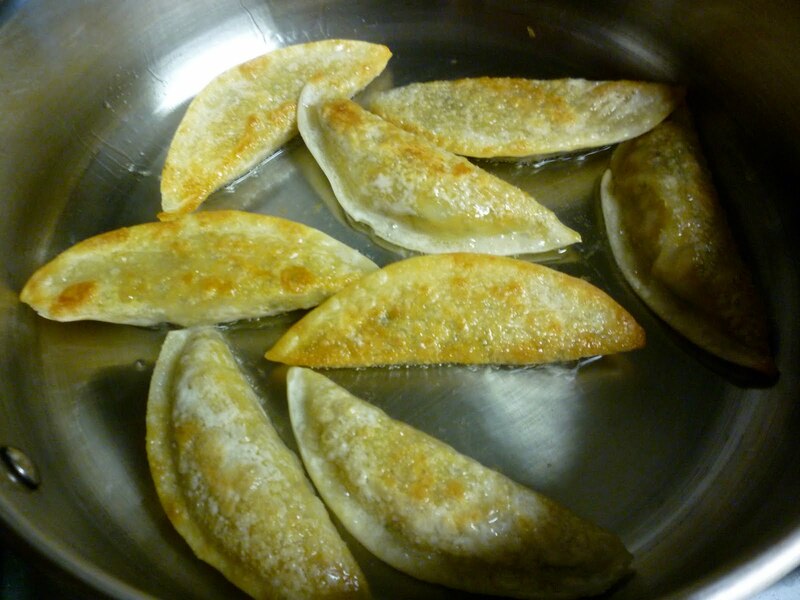 Fry dumpling skins in hot oil until crispy.Eat by wrapping the salad in the fryed mandu skins.